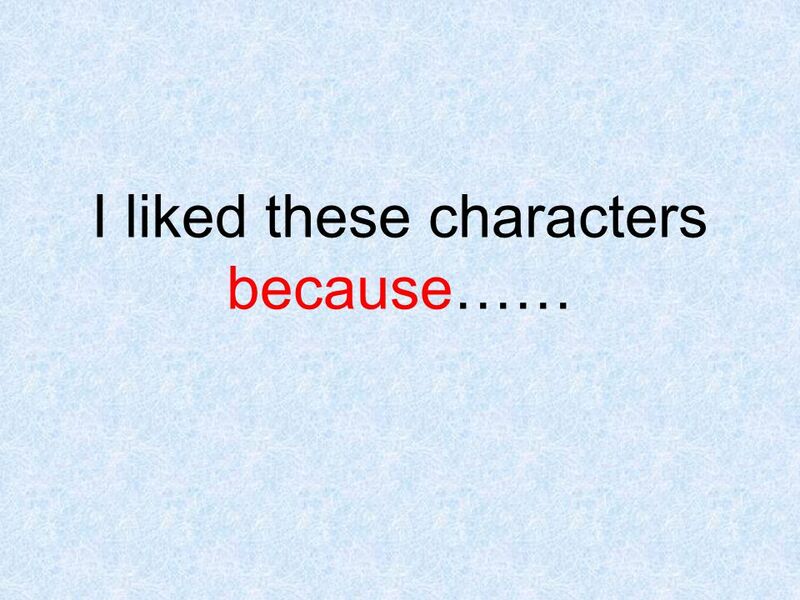 Why did you like these characters? 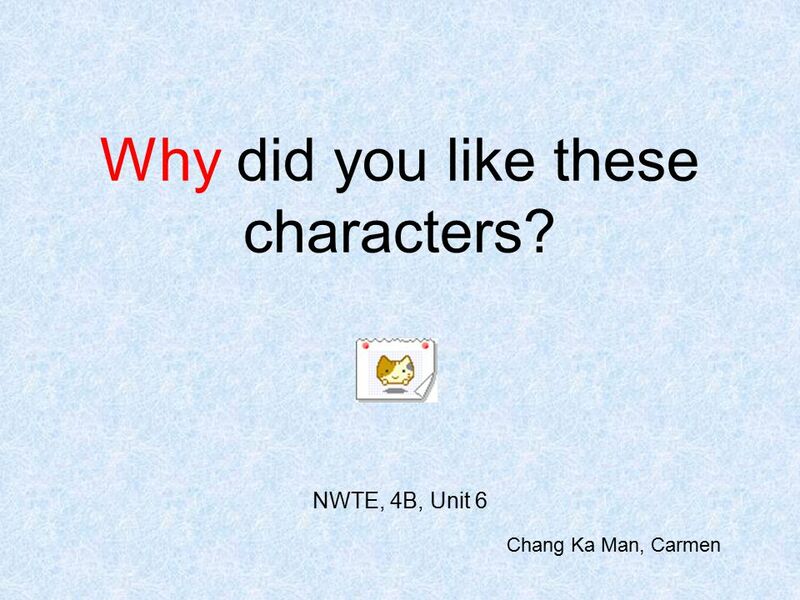 NWTE, 4B, Unit 6 Chang Ka Man, Carmen. 3 Cinderella I liked Cinderella because she was beautiful. 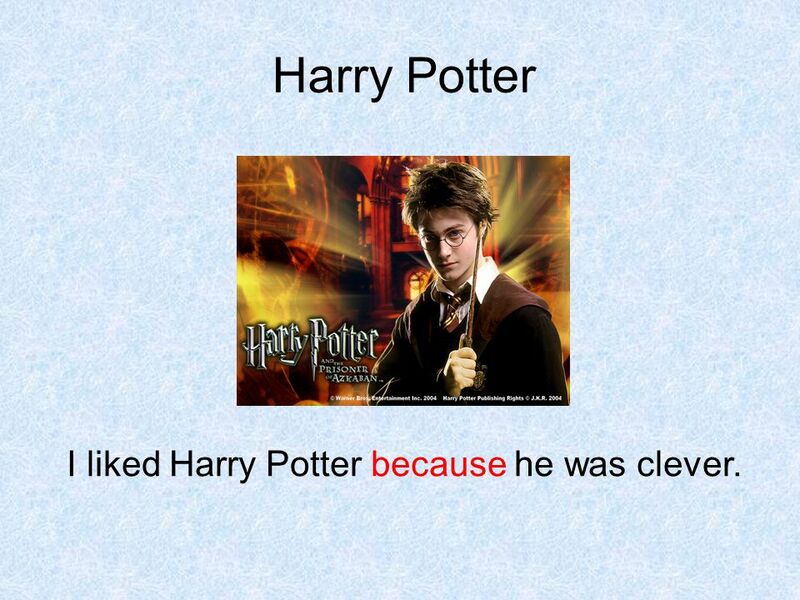 4 Harry Potter I liked Harry Potter because he was clever. 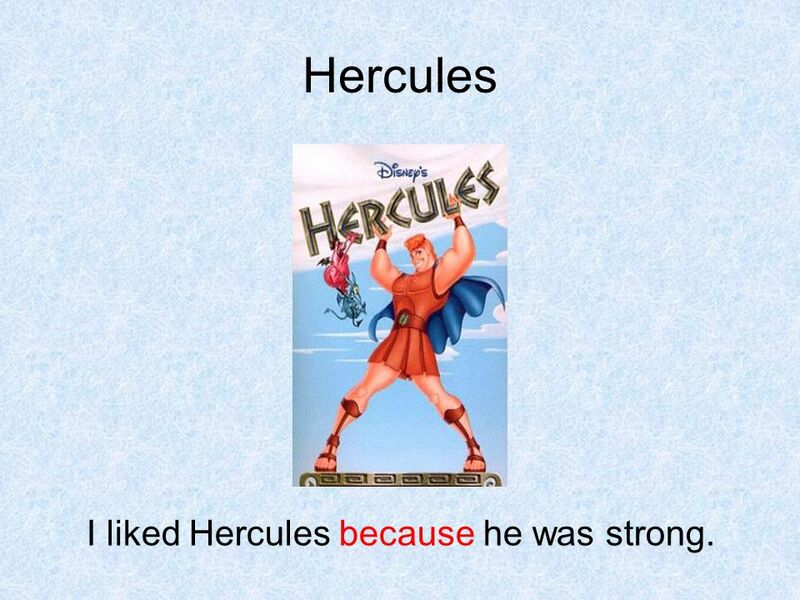 5 Hercules I liked Hercules because he was strong. 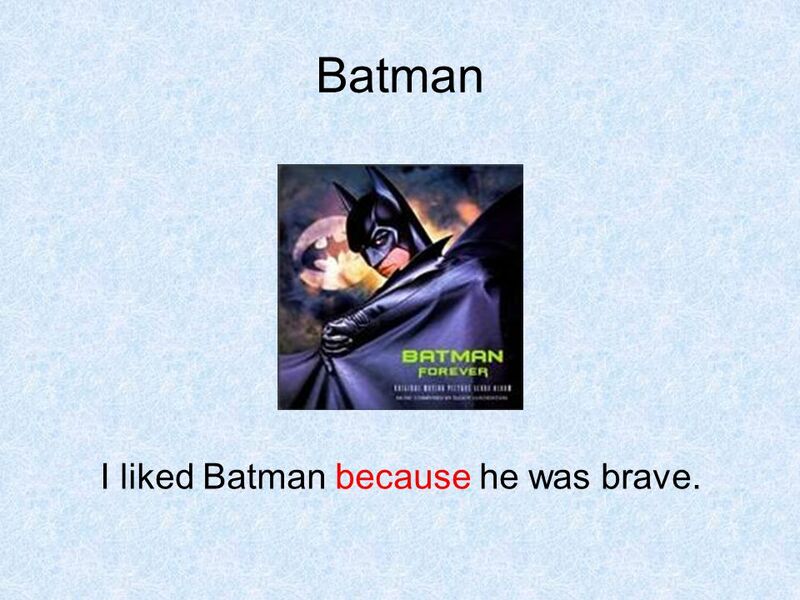 6 Batman I liked Batman because he was brave. 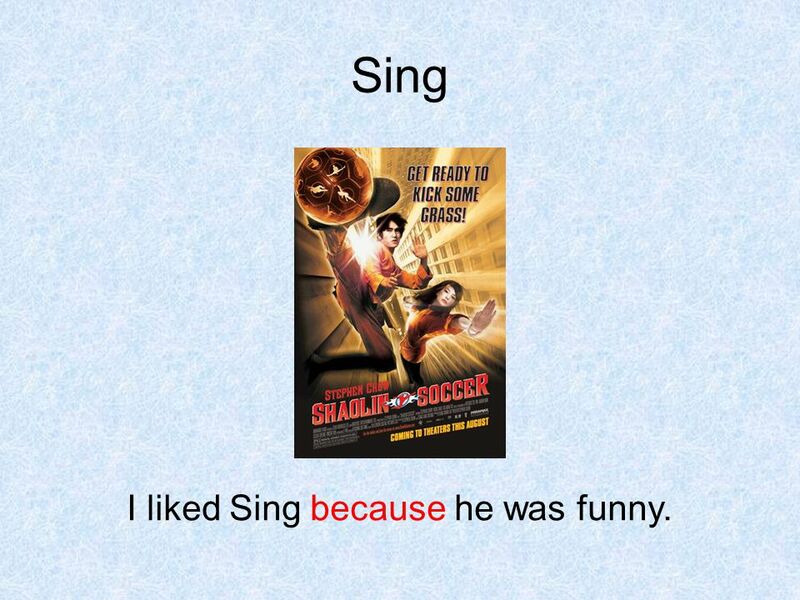 7 Sing I liked Sing because he was funny. 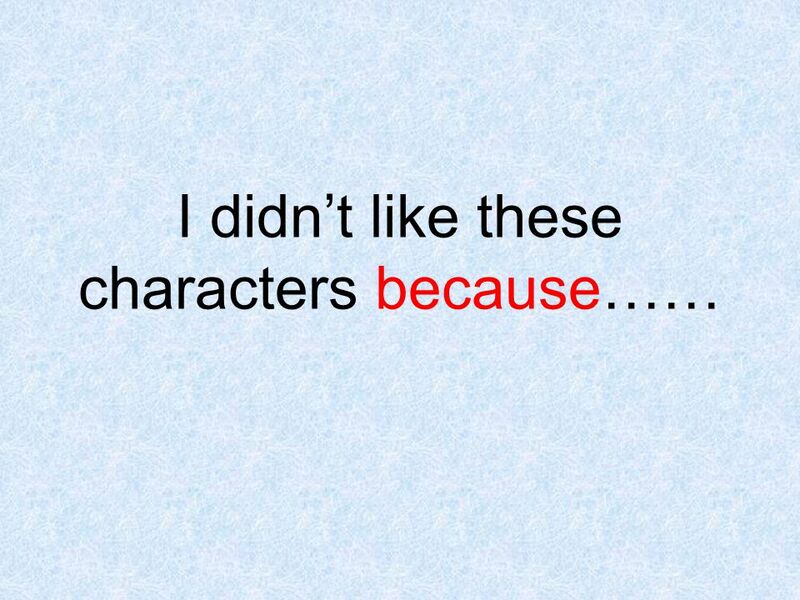 8 Why didn’t you like these characters? 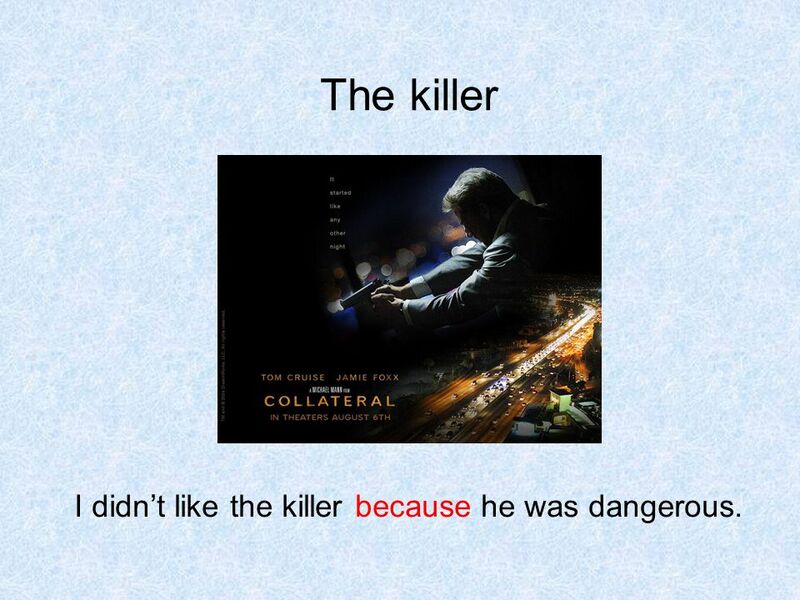 10 The killer I didn’t like the killer because he was dangerous. 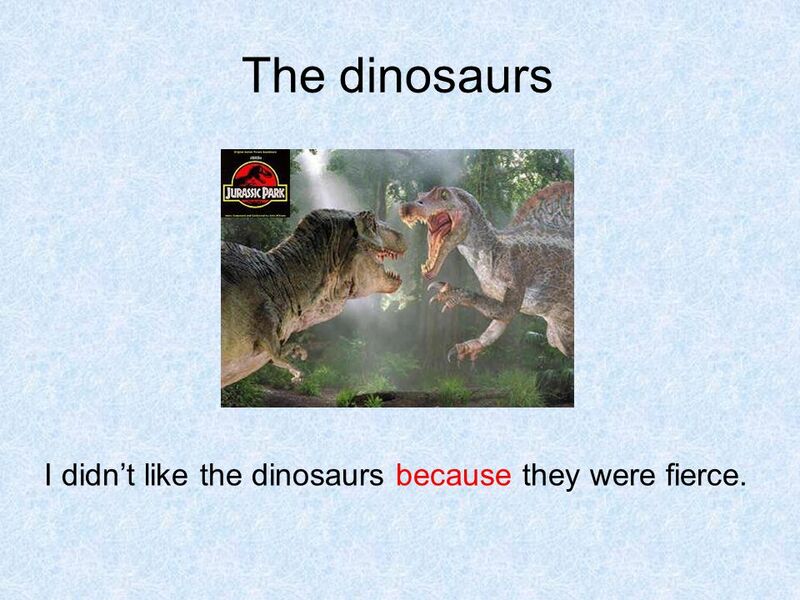 11 The dinosaurs I didn’t like the dinosaurs because they were fierce. 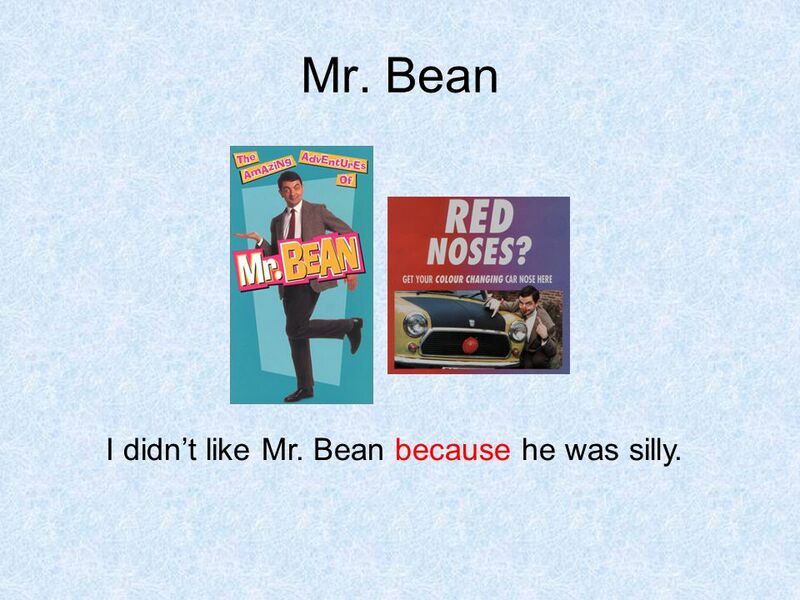 12 Mr. Bean I didn’t like Mr. Bean because he was silly. 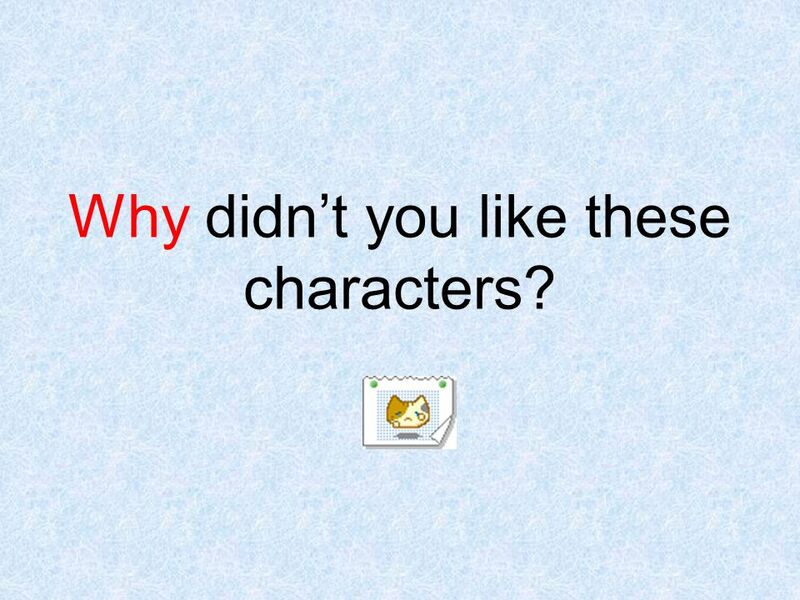 Download ppt "Why did you like these characters? NWTE, 4B, Unit 6 Chang Ka Man, Carmen." Its a bird. Its beautiful. Its a beautiful bird. _____ _____ (the bird is)! How ____ ___ ______bird (it is)! What abeautiful. ARCHETYPES. Introduction Researchers have been able to collect and compare myths, legends, and religions of cultures from all around the world. They discovered. Survey of Entrepreneurs Featuring: J.K Rowling Insert a picture of your entrepreneur here (Find a picture on flickr.com. Make sure you select MEDIUM) By. Chapter _____: [Title of chapter]. Characters [List the main characters who appear in this chapter. Try to keep them in order. Explain who each character. At the Movies Films Do you like to go to the movies? Do you like to watch films? INVERSION Remember Use Inversion carefully, in formal writing, and in moderation! 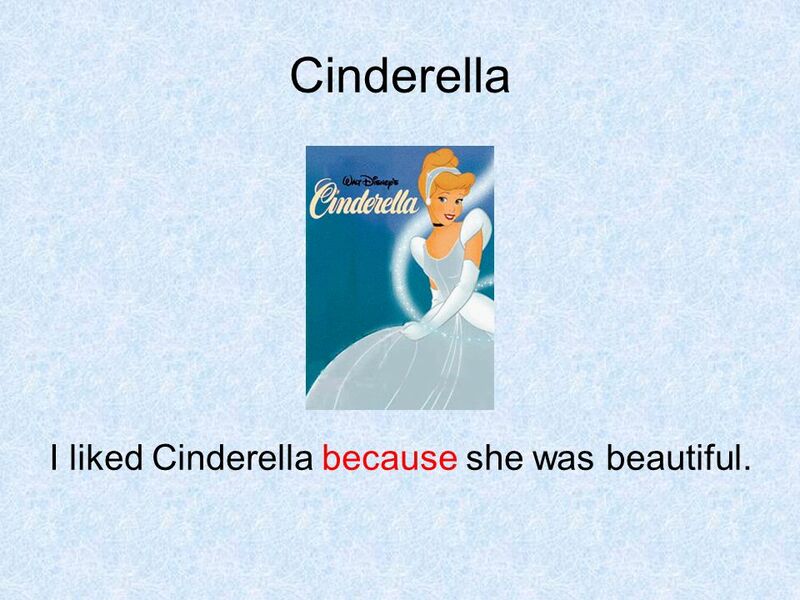 You should start the sentence with an inversion form – avoid using it. By: Parker, Charlie, and Mia Self-Control  Definition: To be able to control yourself  Character that relates: Joey Pigza from the book Joey Pigza. + How does the perceptions of others affect who I am? Harry Potter and the Chamber of Secrets. What do these words have in common?  And  After  Before  Since  But  Although  How  Than  Or  As  If  Though  Yet  Because  Once  Until. Missing one princess! Stolen by a dragon!. Beware of the dragon! Likes: gold and princesses. Dislikes: knights and water. Harry Potter DIAGON ALLEY PART 1. Checklist:  Punctuation  Handwriting  Do they believe in magic?  Did they use Harry Potter and Dynamo? Joanne Rowling Joanne Rowling is one of British’s most famous authors.